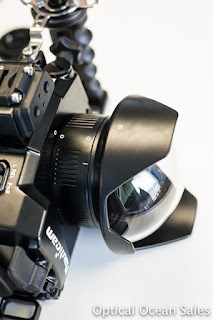 New Olympus 8mm & 7-14mm Lenses: Will They Fit Your Housing? First Look at these Exciting New Olympus Wide Angle Lenses for Underwater Photography. Update: Please see our updated port guide here. We had a chance to take a quick look at the new Olympus M.Zuiko ED 8mm F1.8 Fisheye ($999) and Olympus M.Zuiko ED 7-14mm f2.8 ($1299) PRO lenses yesterday in the store. 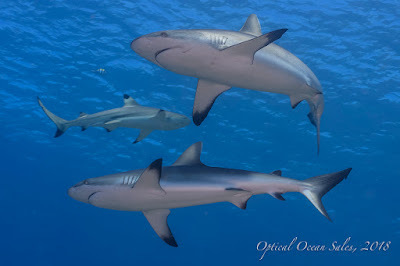 These beauties look to set a new standard in micro-four thirds lenses for underwater use. They are part of the new Olympus PRO line that started with the mz12-40mm PRO lens last year, that are dust, water and weather-sealed with all-metal mounts. No, you can't them underwater without a housing, but they will easily withstand wet hands, rain, dust, cold (to 14F) and humidity. These are extremely well-built and have a rugged design, with very low chromatic aberration. Physically, the Pro series are very smooth and easy-to-use as compared to some of Olympus's earlier light-weight lenses in plastic mounts that sometimes bound a little. They are larger and not the size of those smaller self-storing "pocket" lenses. But the trade off is worth it. Compared to the Panasonic equivalent lenses, these lenses are much faster and should be quite a bit sharper. But what difference does a fast lens make if you're stopping down while using strobes anyway? Auto focus speed is probably the biggest reason, especially with contrast autofocus bodies like most m4/3rds cameras, with the ability to use available light for larger scenes placing a solid second. The 8mm is the first 8mm FE that is an extremely fast f/1.8 - twice as fast as the Panasonic 8mm FE f/3/5. 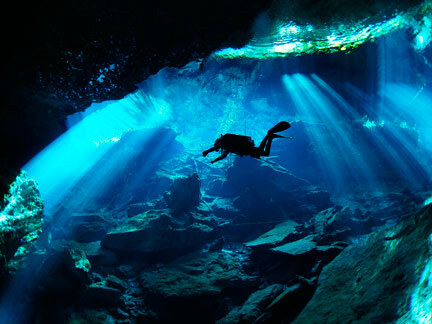 That should make it ideal for ultra wide angle interior shots of caves and wrecks as well as the perfect freediving lens. In fact, Olympus is specifically marketing this lens for use with it's E-M5 and E-M1 housings by also releasing a glass dome port to accompany the 8mm. The lens is about 30mm longer than the small 8mm f3.5 Panasonic lens (you have to have a way to gather that low light somehow) so in a Nauticam housing a 20mm extension should do the trick, although it even physically fit in the dome with a 20mm. With no zoom gear to wait on, this lens will be ready to get wet the moment it's released the end of June. The new Olympus f/2.8 7-14mm PRO has a much larger diameter than the 12-40mm and is longer too, really the largest m4/3rds wide angle lens we've seen. It will not fit present (85mm) m4/3rds diameter ports like the Zen 170mm Mark II dome. We think it really will be the go-to lens for underwater video on the Panasonic GH4 as it has a unique MSC (Movie-Still Compatible) mechanism, which provides swift, nearly silent autofocus operation, with no "whirr" of an AF motor. 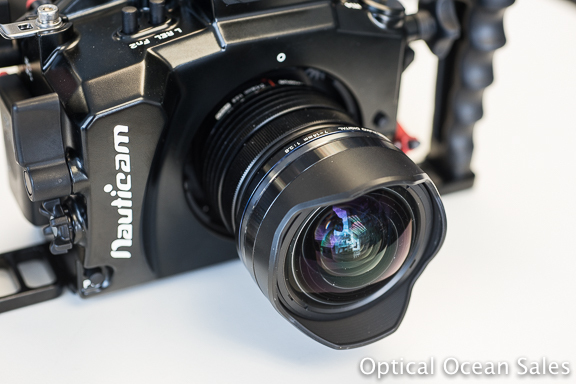 It also has a programmable function button on the lens, although we doubt that Nauticam will design a button to access it. With a much more advanced optical design, the lens should hopefully have much better corner sharpness than the 4 year old Panasonic lens, but only in-water testing will tell the tale. 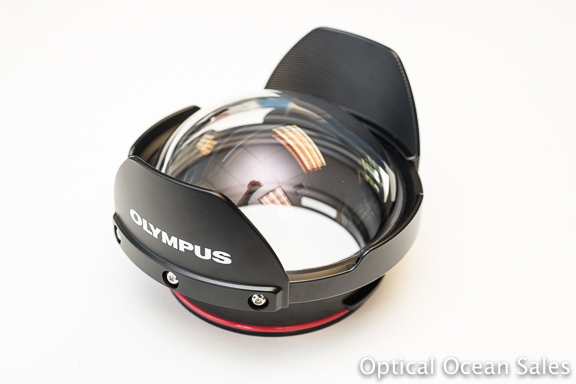 Olympus however has no port or plans to support it for underwater use, leaving third-party manufacturers like Nauticam, Aquatica, Zen, Athena and others to design underwater solutions. We tried it in the Nauticam E-M1 housing and it will require that you add the camera body first into the housing, then the lens as with the 12-40mm. But it will need a much wider port body to fit the lens and a zoom gear. My guess is the the Nauticam N85 (MIL) to N120 (DSLR) adapter with zoom gear, plus about a 60mm N120 extension and Nauticam 180mm N120 dome (or larger) should work fine. 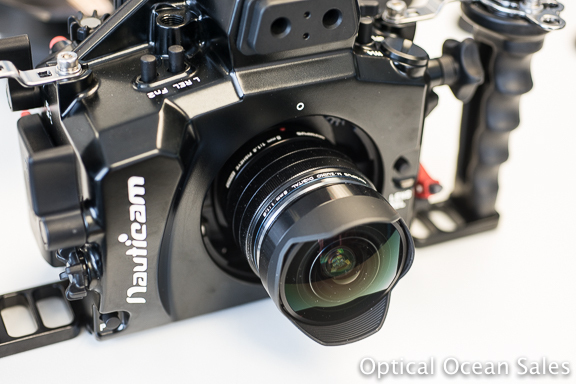 But Nauticam has not released a guide yet as they are still testing these new lenses. All-in-all these new lenses really add a lot to the high-end capabilities of all m4/3rds cameras like the Olympus OM-D E-M1 and Panasonic GH4. We look forward to taking them diving! Don't Scratch the Octopus Between the Eyes!